Materials pre cut by supplier as per your design. Takes minutes to assemble. Modern day sailing boats, planes, space ships and UFO’s from Mars all use light-weight materials. 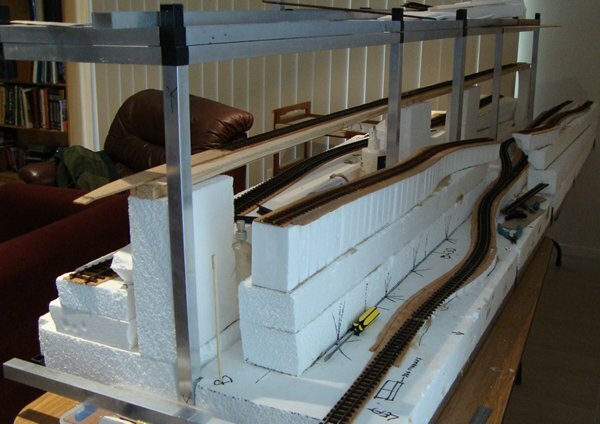 Before I started planning my first layout 1998, I did some research on the various bench work construction methods that were available. 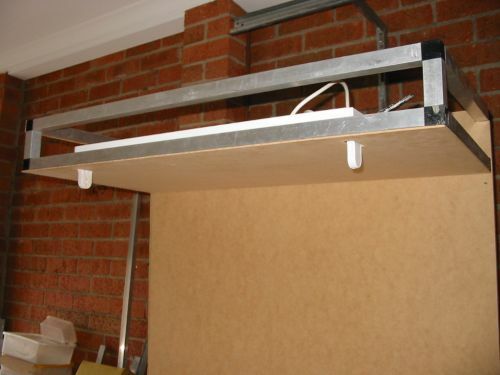 This included using doors, particle-board, plywood, steel framing and the popular L girder construction. None of these appealed to me, as they seemed to be over-engineered and a lot of work for something that was not seen and too heavy to move. Plus, I was never any good with timber. All that cutting, gluing and screwing, who needs it? There had to be a better method. 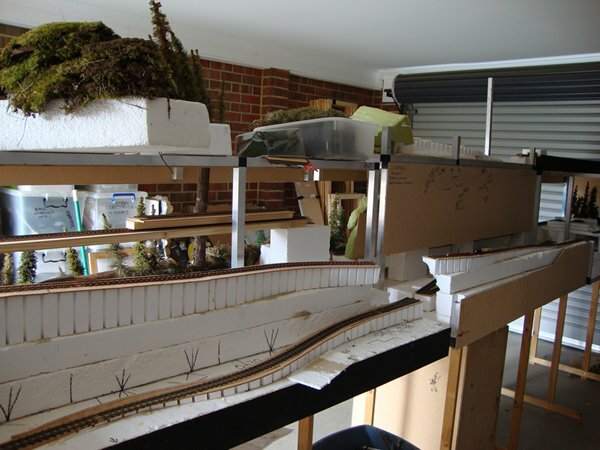 About the same time I joined a local model railway club, and while helping with scenery work, Barry and Bob remarked that the club layout always had problems due to timber moving, warping and that it was too heavy to move when it was time for the next exhibition. Timber was used because it was obtained at no cost and no other material was considered. Then Barry mentioned the magic word, aluminium. 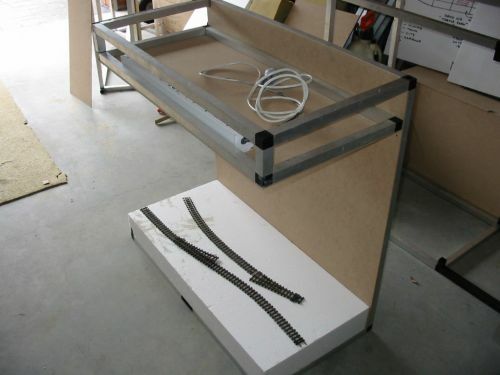 The next day I located companies that specialised in aluminium sections and once I knew what was available, I set-out to design the bench-work for my layout. I decided to use 25 x 25 mm square hollow section (SHS) for all my bench work, designed for modular sections of 900 x 900 mm, 1200 x 900 and 1800 x 600 mm. Knowing that the stock lengths were 6.5 m long, I was able to design a cutting list to suit and save on wastage. Modules were then made up using plastic joiners. 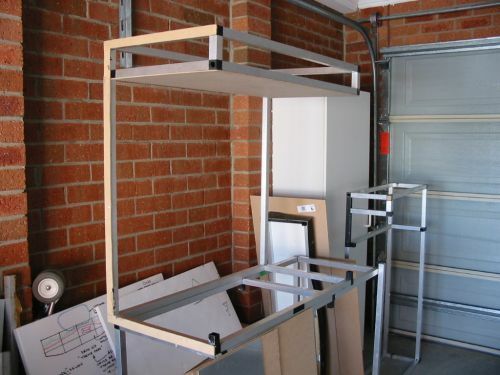 These joiners give an extremely strong connection and the resulting frames are perfectly square. You need to deduct 25 mm per join when calculating cutting lengths. You can dismantle the frame by hand, if modifications are needed, but a light tap with a rubber mallet will help. 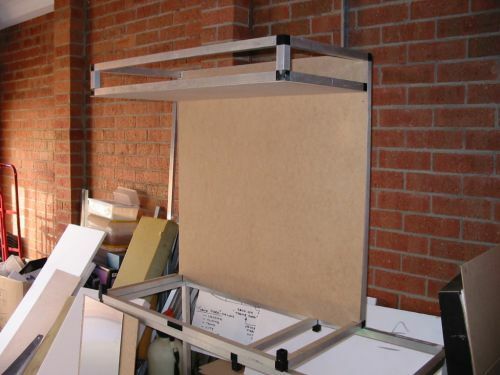 A 900 x 900 mm module takes a minute to assemble, ready for a Styrofoam and 3mm or 6 mm medium density fibre-board (MDF) base. Castors can be attached to the SHS legs and are ideal while working on the module. It allows you move the module as required. There would be many places that stock the framing materials. I use Capral Aluminium. Tell ‘em it’s for your model railway. 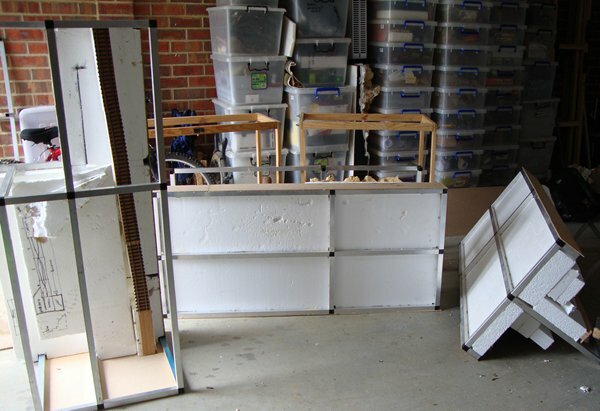 Once the frames are constructed, fix MDF to frame with Selley’s Liquid Nails or Nortons Stronghold Adhesive. Buy a dozen at a time. Trust me, you will use them over time. 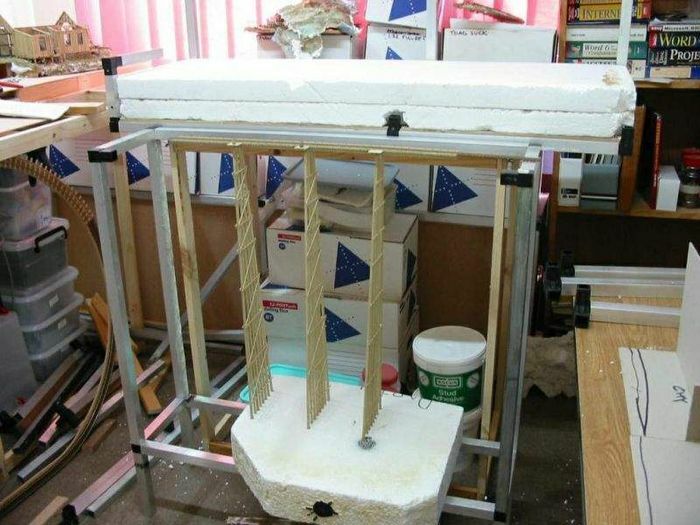 If you are not using heavy scenery, such as real rocks, you could eliminate the MDF base. Fix the Styrofoam to the MDF. In 10 minutes you will have your first basic module. You can then lay the cork roadbed and track. 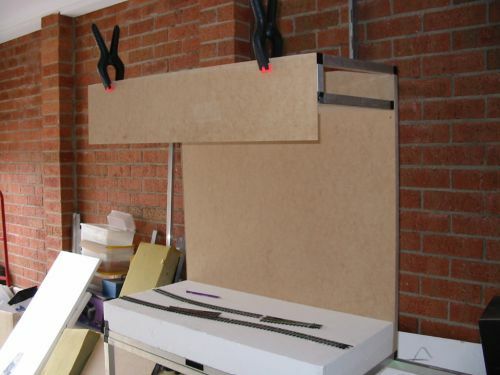 Additional 3mm or 6 mm MDF to the underside of the cork and track is optional. Use Canite if hand laying track. 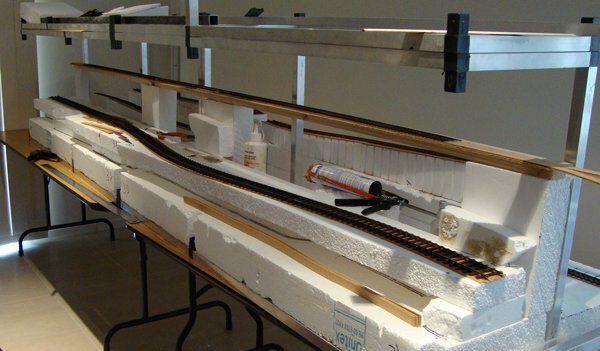 Some people have used cardboard or foam core for the roadbed, but these items tend to compress over time. 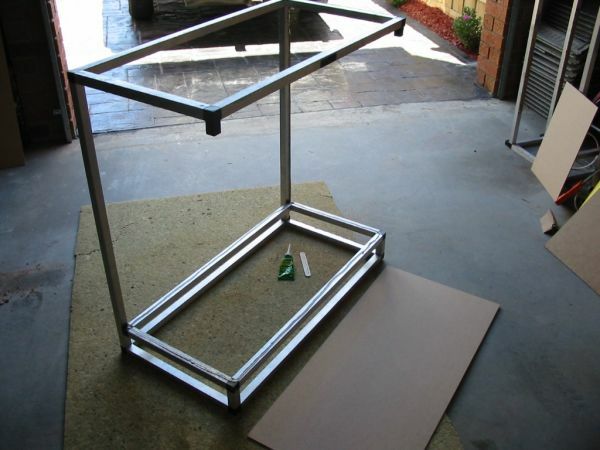 A typical 1200 x 600 mm flat earth module with modest scenery could be completed in a day. 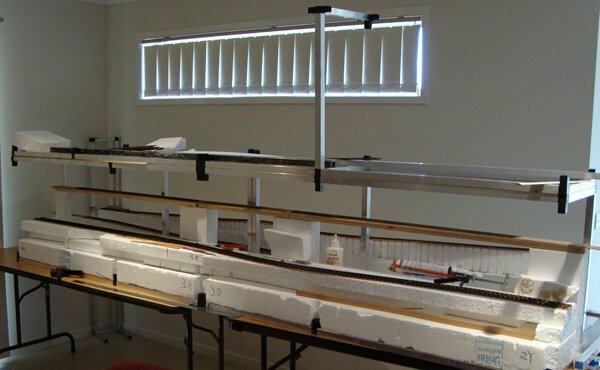 Using 50mm, 75 mm or two layers 50 mm Styrofoam, allows for rivers or depressions in the module. Another way of creating interest and losing that straight module front look, is creating add-on mini scenes, which can be bolted to the front of modules. 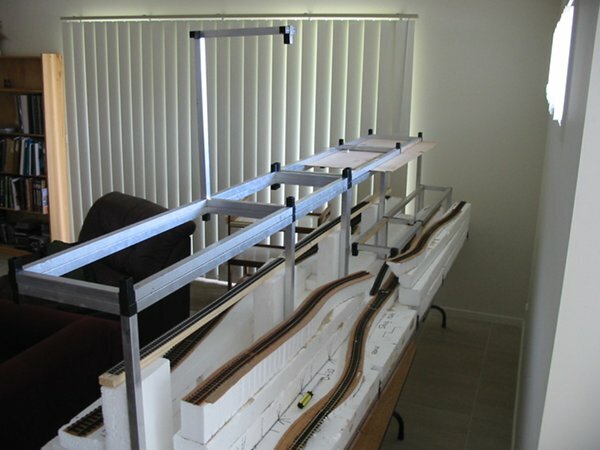 Using a modular system allows for the layout configuration to be changed at any time. When using 25 mm SHS, you can use ONE bolt size. I originally planed to weld a bolt to some modules that would eliminate some of the loose hardware, but these protruding bolts could catch onto something while moving them around at home or at an exhibition and injure people and even damaged the screw treads. Rubber Mallet available from your nearest bargain shop. 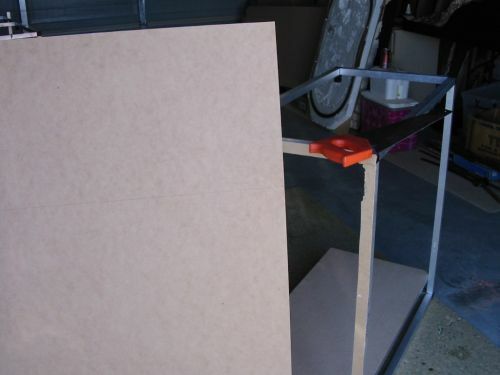 Yes, that’s all, unless you need to do some extra frame cutting with a hacksaw or Precision Mitre saw. 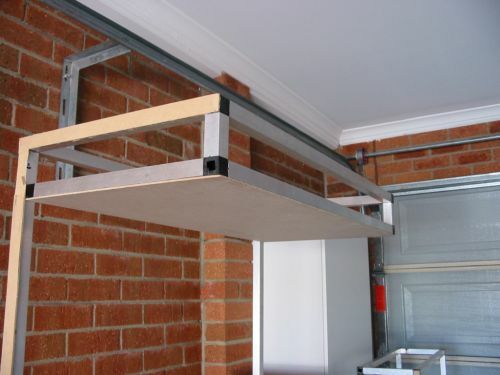 Using aluminium sections, individual modules can be modified or completely changed at any time without having to cut pieces of timber from the layout. If all else fails, sections, joiners and foam can be re-used. No nails to pull out or fear of timber splitting. Styrofoam is light and easy to work with. It has been used by many around the world for years and extensively promoted by Malcolm Furlow. He has used light-weight materials for his HOn3 and Gn3 layouts. I do not shape Styrofoam as shown in many books, but snap sections off. This gives an uneven rugged look. Use solid Styrofoam where possible. This allows for better contouring. The type of packaging found in household appliances, such as TV sets, Hi-Fi systems is generally not suitable. The pieces are then covered with Topping Coat. Topping Coat is a ready to use paste, used by plasterers as a finish over plasterboard joins. Place some in a small plastic container, mix with a little water and brush on. Apply a thin coat to the Styrofoam. As it dries, stipple with a brush to give some interesting finishes. It takes a day to dry and hardens like rock with minimal extra weight. This is a must have product in lieu of plaster. This product will “knock your socks off”. It has caused a lot of interest at some of the demonstrations I have conducted. Light-weight mini scenes are, I believe, another alternative when trying to complete a large layout. They are really small dioramas that can be relocated at any time. I actually have some sitting on top of my office computers and shelves at home. 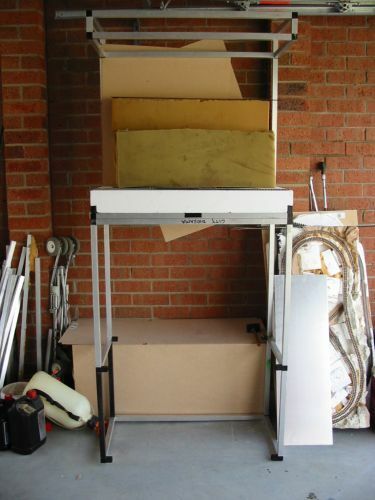 Why hide these models in the layout room or garage which are permanently fixed to the layout. Once completed, they can be placed within the module. If you don’t use too much heavy scenery, light-weight construction can limit the strain on your back and the patience of family and friends. 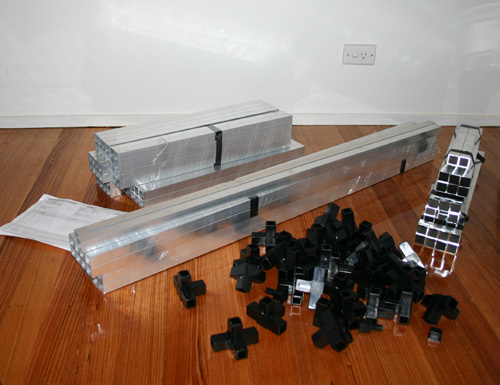 By using four way plastic joiners and short (200 to 250 mm) lengths of SHS, you can double stack a layout. The light weight construction techniques will allow them to be moved about easily. The options are endless. It is quick, easy and inexpensive. Paper towels dipped in plaster is a popular way of covering large areas of a layout, however plaster becomes heavy when it sets. I have used Mod-Rock, a plaster impregnated cloth. This product is used by doctors to set broken arms and legs. It’s not messy, no mixing and does not harden quickly like plaster. Available from some Art suppliers. Cut up into small 6” pieces, dip into lukewarm water and place over the Styrofoam. After placing a few pieces, use one of your cheap paint brushes and brush over to smooth. One layer is enough, but 2 layers gives extra strength. Don’t worry if some of the cloth still shows. Once dry, cover with diluted acrylic house paint. I personally like the light earth tones. Add some light brown shades of sifted dirt. I use Art & Craft acrylic paints for structures , figures, locomotives, rolling stock and staining timber. Diluted with alcohol or windscreen washer fluid. Craft acrylic paints come in tubes or small containers and are available at craft shops and hardware stores. 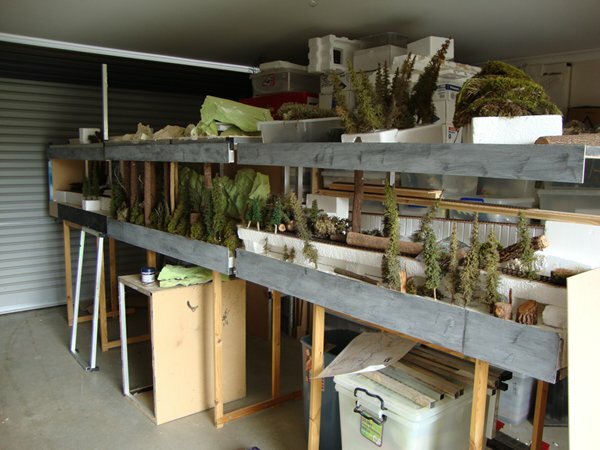 During winter, I collect various mosses, which are stored in a plastic container and added to the scenery at a later stage. I have treated natural vegetation with full strength engine coolant, but in most cases I find the vegetation lasts for quite a while without this process. If I need to, I just do a bit more landscaping. It sure beats the plastic stuff. Natural materials have been used extensively by Geoff Nott and Mark Fry’s “Swans Crossing”. 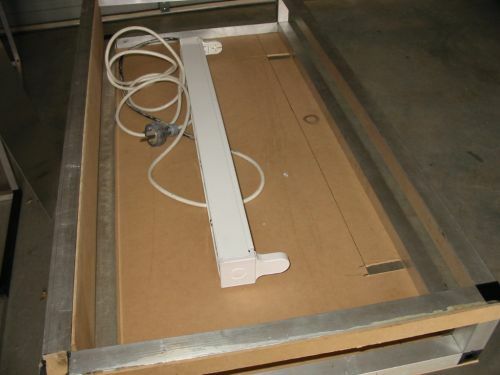 3 mm MDF is used for module fascia. Charcoal Black as a finish which is applied with sponge type brush. This gives a great smooth finish. You can purchase a set of 4 sponge brushes for about $3.00. I find ordinary brushes tend to leave streak marks. Black paint as a fascia colour, makes the scenery stand out when layout lighting is used. Topping coat onto MDF. Stipple with brush. Paint with acrylics. Shades of green or brown. Finish with a few coats of Gloss Clear Estapol. (non-toxic) or Marine Varnish. I use non-toxic water based paints where possible. No odours and the brushes clean easily with water. For some who are about to build their first layout or module, light-weight construction might be an interesting alternative to timber frame work. 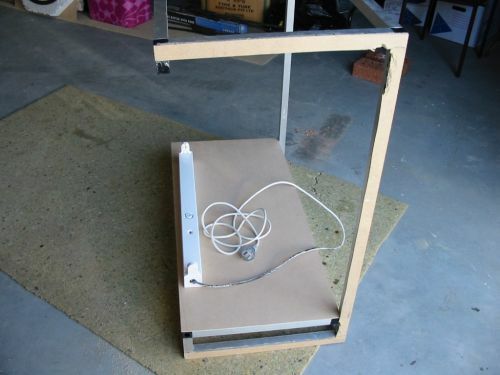 It’s light, quick, cheap & easy to build. 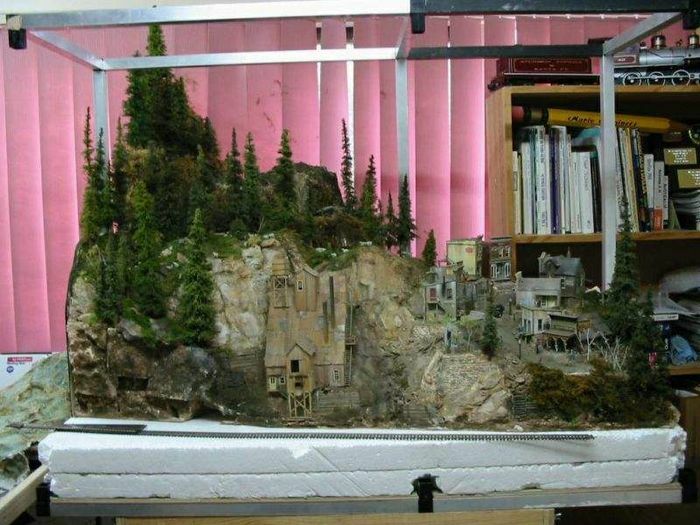 A sample 1200 x 600 mm module, “Meyers Creek & Southern RR”. It was constructed for clinic’s and “show & tell” demonstrations 2004. 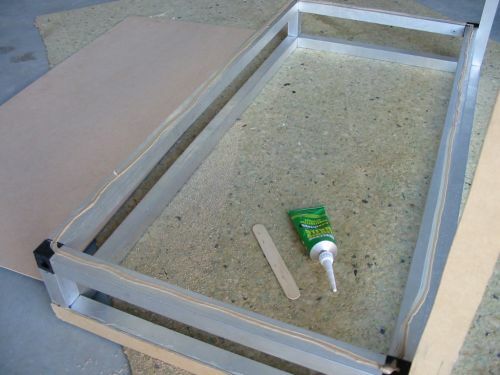 The combination of Aluminium framing, Styrofoam and Topping coat is a lightweight , inexpensive alternative. Personally, I would like to see more modules using light-weight construction with some adventurous scenery techniques.